By Harrison Krix on Jan. 29, 2013 at 6 a.m.
Good blueprints are the key to a really successful prop, and Harrison walks us through how he meticulously draws one for each project. 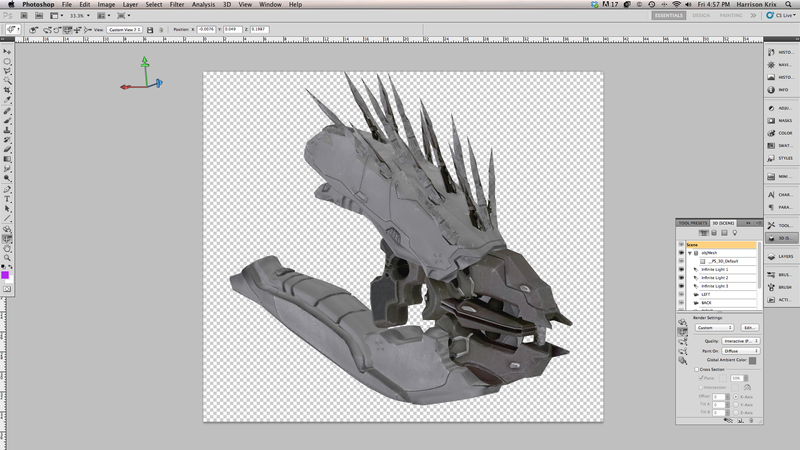 A Needler from Halo 4 will emerge from my workshop in approximately seven months. Typically projects take a little less time than that (I swear!) but I'm going to be drawing out the process to detail things a bit more thoroughly as the project continues. To start this build off, I'm going to need a good set of detailed blueprints to reference as the build progresses. Today's article was intended originally to cover some aspects of planning the build itself, but I kind of went overboard with the “blueprints and references” segment here. I think this part of a build deserves a lot of attention and detailed explanation--hope you don't mind! Good blueprints are, in my opinion, the key to a really successful prop. There's an old saying that goes "garbage in; garbage out" which can refer to anything from the quality of materials to the planning of the project. In this case, a good set of blueprints will make sure that all your parts fit together properly and are accurately scaled to one another. It's the foundation of the project, and just like an architect wouldn't make a house without a detailed set of plans, a good builder should take the time to spend a while on solid blueprints. Obviously these have to come from somewhere, and if you happen to be into making props from video games like I am, then you're in luck. 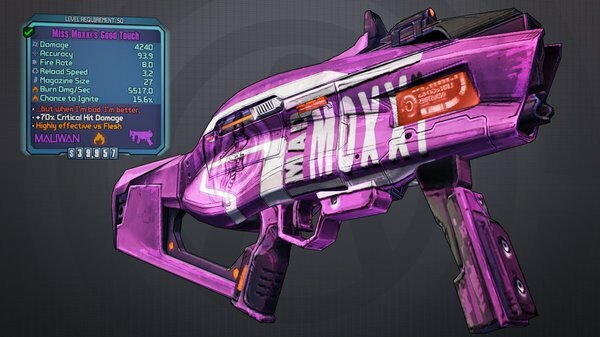 First, if a game has come out on PC, there is a pretty good chance there's a vibrant and thriving modding community out there for it. These are players and artists who have been able to extract the models and textures from the game and edit or manipulate it in order to create aesthetic or game-changing mechanics mods. Larger games like World of Warcraft have literally thousands of people who have poured over code, yanked out models, and converted their files into something that can be read by most 3D modeling software, or even Photoshop. Seek out some of these communities, join their forums, search the archives. When I built a copy of the Terrible Shotgun from Fallout 3, I found some stellar references of the model from one artist who had revised the in-game model to be a bit more detailed. All I was after was the shape of the object, so the re-color didn't matter much for my purposes. Beyond that, some games even come with a handy built-in model viewer! Any object in Skyrim can be inspected from all possible angles in the inventory screen. In Borderlands 2, items like guns, grenades and shields can be examined as well from your inventory, and rotated freely. Versions of Halo that include the "Forge" feature enable players to set up custom maps and spawn items at will, then use a floating camera to view any angle in the scene. While not all games have features like this, the ones that do will make your life much easier should you decide to replicate a piece from that world. Generally, my end goal is something like the following photo. Top, bottom, both sides (if they're different) and the front and back. 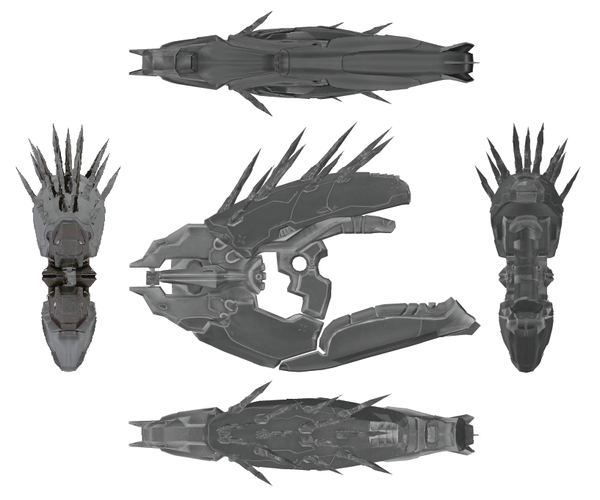 I really lucked out and happened to get in touch with a modder who had pulled the Needler’s 3D files out of Halo: Reach, which I was able to open in Photoshop as an .obj file and manipulate to my needs. It might be that not every project needs this much detail, but the more you can put into your blueprints, the better. 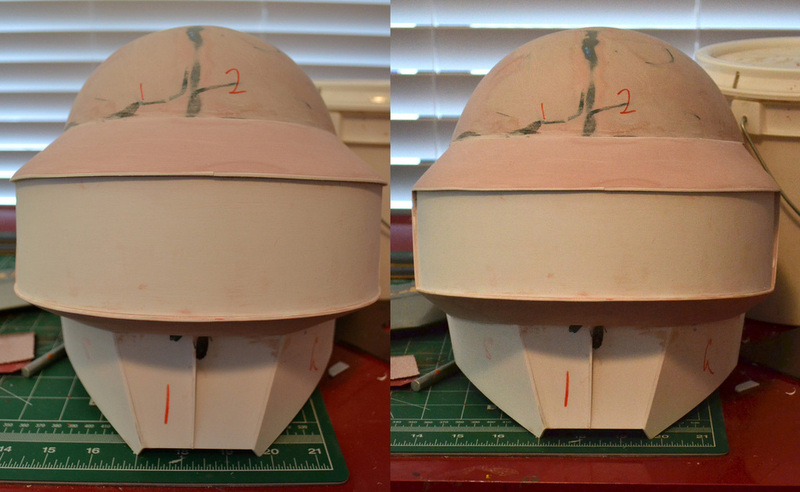 Its a good idea to grab 3/4 angle shots too, showing the piece from other perspectives than just these flat-on views. This will allow you to see how certain panels, lines and segments interact better than a flat angle shot would. On the shot below, I’ve removed the color so the image is a bit easier to interpret without any distracting shading. A quick note about some references. Some model viewers and screen shots will be affected by something called "lens distortion." Essentially, the closer an object is to the camera take a photo of it, the more distorted it will appear due to the narrower focal depth and shorter vanishing point. A picture is worth a thousand words here, so with that in mind check out this shot of my Daft Punk helmet sculpt. 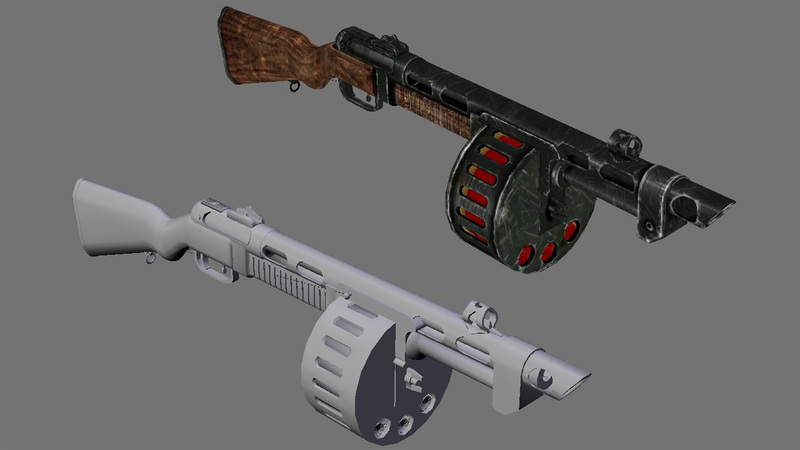 On the right is fairly accurate representation, and the left photo is affected by lens distortion. 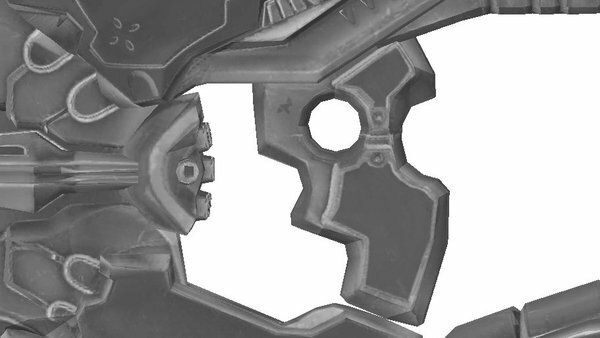 Sometimes it's difficult to obtain photos (or even in-game screenshots) that haven't been distorted in this manner, but if your blueprint references have some amount of distortion like this, you may need to compensate a fair bit when drawing out your final project plans. Grab as many reference images as possible, and assemble them in one document to look for more consistent forms which will let you rule out details that may have been affected by lens distortion. If you happen to be lucky enough to have a 3D model to use, make sure you’re capturing your references in an orthographic mode. This will eliminate the vanishing point and remove any possible lens distortion from your references. The left image below is a perspective view, the right one is orthographic. After I source enough shots, the individual references are tiled together in Adobe Illustrator. 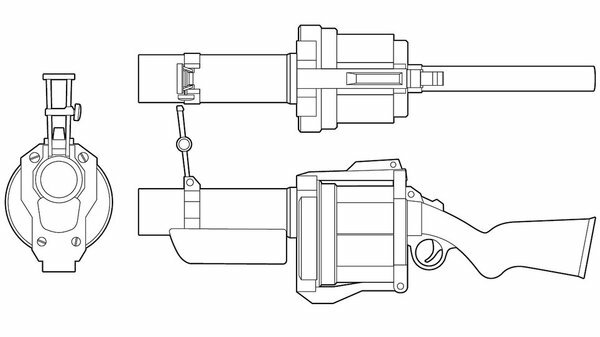 My blueprints are done with the pen tool and a .5pt stroke to make sure the lines I draw are as close to the models as possible. Video game models are polygons though, and for something like the Needler which should have a gradual even organic slope to the casing, sometimes you have to use your discretion and round off edges here and there. Some artistic liberty has to be taken when determining what to round off and what to leave jagged, but consider the final use of the object you're building. Would the thumb hole of the grip be a jagged polygon, or a smooth rounded circle for more comfort? You might be asking "If these references are all the right size and proportion, what do you need to spend hours and hours tracing them for?" Well, beyond my somewhat manic obsession with precision, the short answer is that they're more reliable than the screenshots will be when it comes to making your prop. 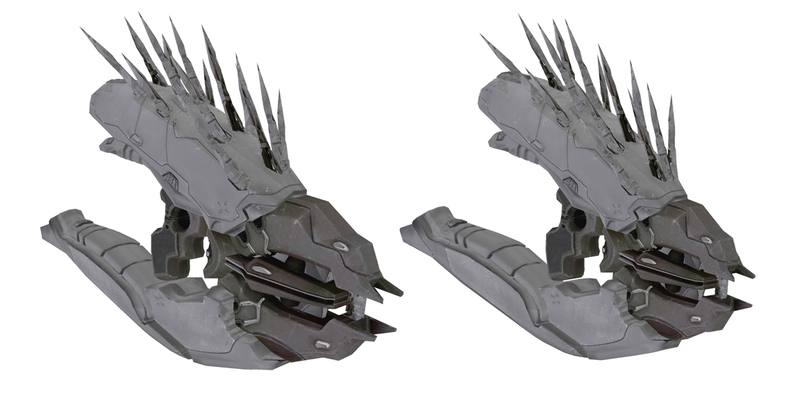 Take the grip on the Needler for an example. There's an inset in the handle, and a raised area that sits around it. In the references I was able to gather, these details are crisp, but still fairly pixelated. Cutting a panel like this on a scroll saw where the blade is less than 1mm thick would be guesswork. You'd have a pretty good idea where the panel should be, but only within a few millimeters. What's a few millimeters though? On one part, not very much. Consider though, that all of your parts are off by +/-1mm on all sides. Every panel no longer fits correctly, and pieces that should be sitting next to one another have developed significant gaps. 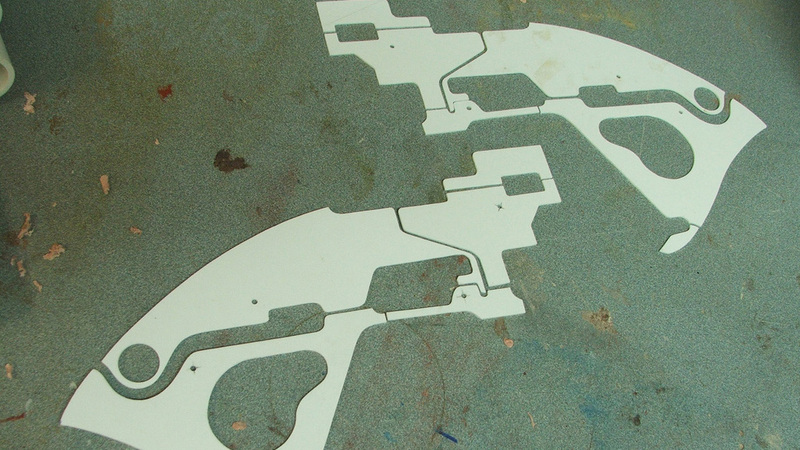 The precision of a vector tracing allows for much tighter tolerances, which translate to better props! The little pieces of styrene in the shot below were trimmed by hand on a scrollsaw, and needed precise spacing to simulate panel lines. Without proper blueprints, eyeballing things like this would be a disaster. An hour in Photoshop and about seven hours in Illustrator later, we're golden! 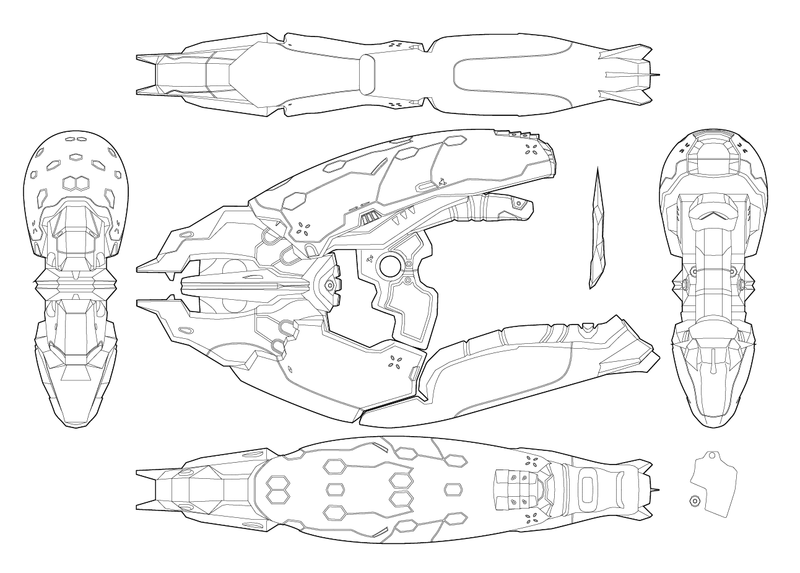 The Needler is a very intricate piece, and most of my blueprints don't take nearly as long, but it will all be worth it in the end. 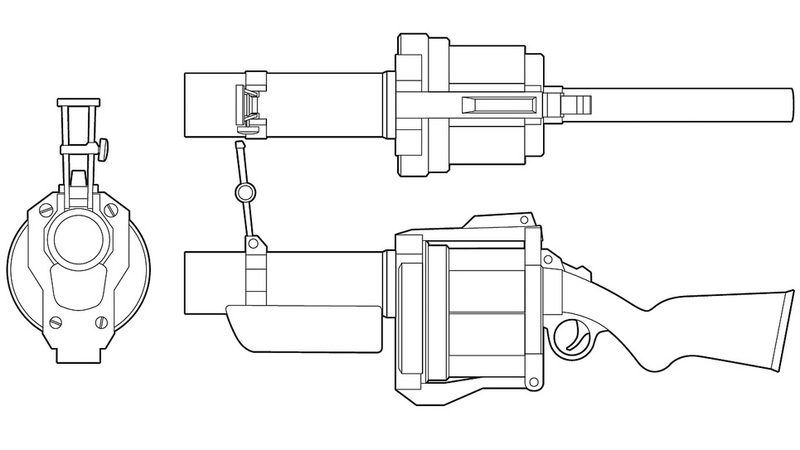 Another benefit of vector-based blueprints is that you don't lose any detail when scaling your piece. Scale is another very important element; props that are too big or too small will look incorrect no matter how well built they are (unless, that is, you're going for something like 1/3 scale, in which case never mind!) Luckily, items like weapons are a bit easier than something like armor. I really lucked out with the Needler, because Microsoft has given their community a whole wealth of information about the HALO universe. A quick trip over to the HALO wiki reveals the Needler to be 22.75" long. 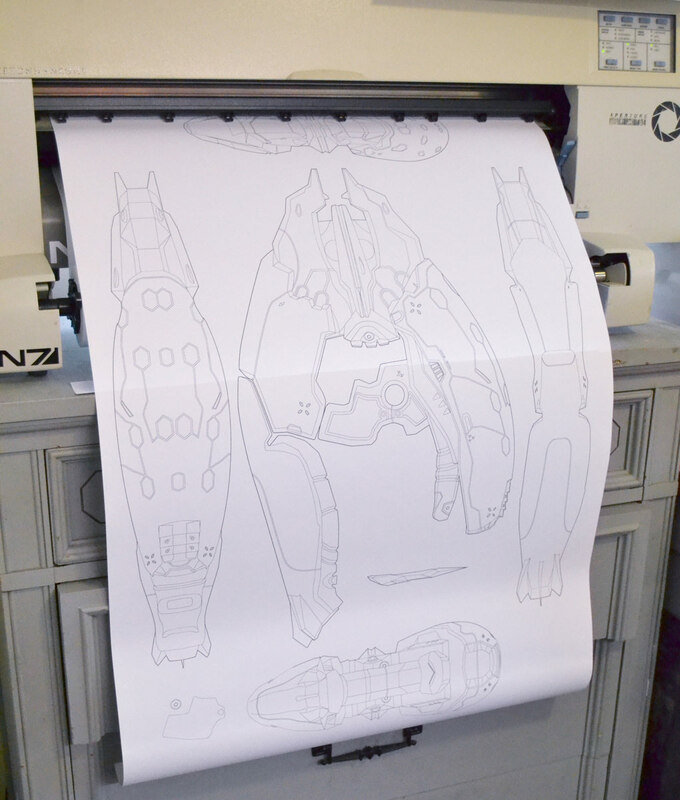 Scaling one segment of the blueprints to this size makes everything else scale accordingly with it, and we're ready to print off a few copies to start the project! This isn't always the case though. 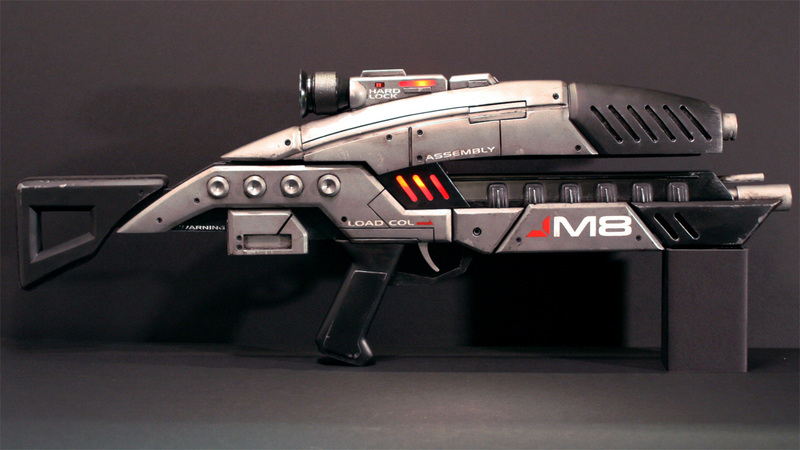 When I built a copy of the M8 Avenger from Mass Effect a while back, scale was a bit trickier. I ended up using the below image and some Illustrator tricks along with a bit of math (nooooooooo!) in order to get the rifle the correct size. The blue line (a bit exaggerated in this shot for emphasis) is Commander Shepard's height, while the yellow line is the length of the rifle. Under "Document Info - Objects" in Illustrator, you can get the length of any line regardless of orientation or curvature. The blue line here was 19.02" long. 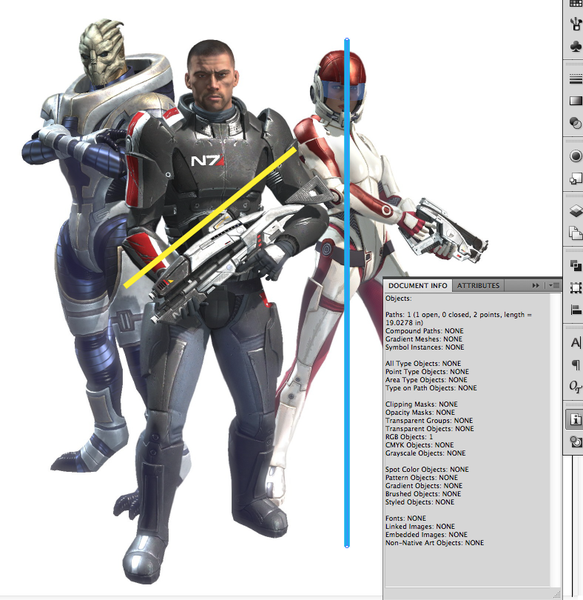 If Shepard is 6' tall--average enough--that's 72" total. 72/19.02 = 3.785. Going back to the document info, the yellow line is 8.22" long. 8.22(x)3.785 = 31.1" - the length of the M8 Avenger for a 6' tall person. 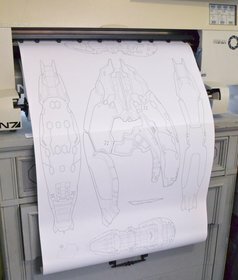 My blueprints were scaled to 31.1" long, and the project went forward. And that's it for blueprints and references! In the next segment of this project I'll actually start putting materials together and building this Needler!